POST | Watch: Bjork's "Crystalline"
POST | Listen: Bjork "Cosmogony"
POST | Stream: Bjork's New Single "Crystalline"
Born in 1965 in the Icelandic capital city of Reykjavik, the daughter of Gudmundur Gunnarsson (an electrician) and Hildur Hauksdttir who divorced before her second birthday, Bjrk grew up in a hippie-type community with her mother and her seven siblings. She started to study classical music at the age of 5 and released her first album in 1977 (mainly traditional Icelandic folk songs and international hits translated to Icelandic) when she was only 11. During her teenage years Bjrk became involved in several bands, most of them punk: Spit & Snot (1977), Exodus (1979-80), Jam 80 (1980), Tappi Tkarrass (1981-83) (featured the documentary Rock in Reykjavik (1982)) and Kukl (1984-86). She then formed the pop group The Sugarcubes with Einar rn Benediktsson and Sigtryggur Baldursson and eventually other members r Eldon (with whom she had a son in 1986), Margrt rnlfsdttir and Bragi lafsson. The band released its first single in 1986 and its first album, "Life's Too Good", in 1988, and discovered international success, especially in UK. 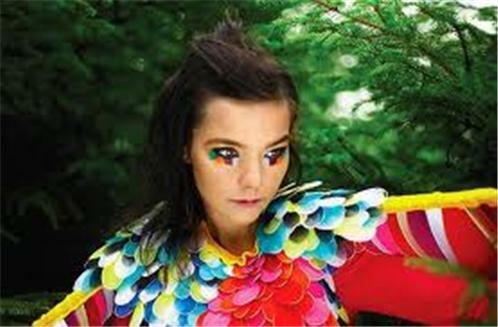 During her Sugarcubes years, Bjrk also collaborated with the Icelandic jazz group Gudmundar Inglfssonar Trio for the album "Gling-Glo" in 1990, and featured 808 State's "Ooops", which was the start of her electronic music interest. The Sugarcubes eventually split after a few albums in 1992 and in 1993. 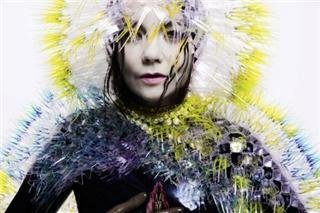 Bjrk released her first solo album, "Debut", in collaboration with producer Nellee Hooper. The worldwide success of the album (nearly 3 million copies sold) made possible her second album, "Post", in 1995, also with help of not only Nellee Hooper but techno gurus Graham Massey (from 808 State), Howie B. and Tricky, followed by the remix album "Telegram" the year after. 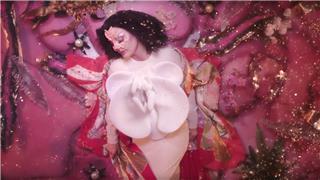 After some problems in the UK, where she lived, she decided to go to Spain to record her third album, "Homogenic", released in 1997. Her main collaborators were the 'Icelandic String Octet', Mark Bell (from LFO), Mark Stent and again Howie B, and the album may be her most electronic. After Danish director Lars von Trier discovered her in the music video of "It's Oh So Quiet", he asked her to play the main role and to compose the music for his new movie Dancer in the Dark (2000). She won the Best Actress Prize in the Cannes Festival, and said that it would be her only cinema performance (although she'd already acted in the Icelandic movie The Juniper Tree (1990)) because it was too painful for her and because she considered herself a music artist and not a cinema artist. The original soundtrack was re-worked by her before being released as an album under the title "Selmasongs" in September 2000 (including a new version of the duet song "I've Seen it All" with Thom Yorke). Her fourth album, probably the most quiet, "Vespertine", featured a chamber orchestra, an Icelandic choir and harpist Zeena Parkins, and was also a successful collaboration with Matmos. She then successively released a book of photos and texts, series of DVD, a Greatest Hits album and two special boxes ("Family Tree" and "Bjrk Box"). 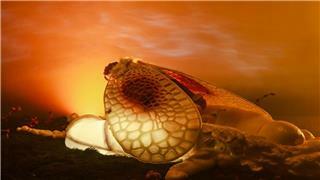 She also took time to marry artist Matthew Barney, with whom she had a daughter in 2002. In August 2004 she composed and sang "Oceania" for the Opening Ceremony of the Olympic Games in Athens. This song was featured on her fifth album, "Medlla", released about two weeks after the ceremony. It is mostly made with vocals and some titles are close to experimental music, featuring choirs, Inuit singer Tanya Tagaq, Japanese artist Dokaka, Robert Wyatt, Rahzel and Mike Patton, but also collaborating again with programmers Matmos, Mark Bell and Mark "Spike" Stent.